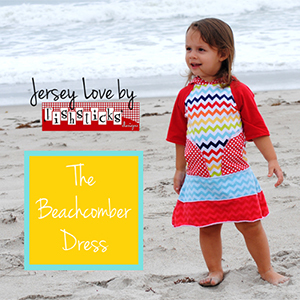 The casual, comfortable Beachcomber Dress is just what your little girl needs for days spent digging her toes in the sand at the beach or in her backyard sandbox! 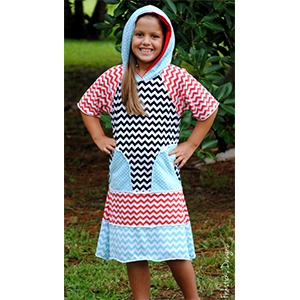 Sewn with cotton or cotton blend jerseys, this hooded knit dress is a quick-sew using just your sewing machine. 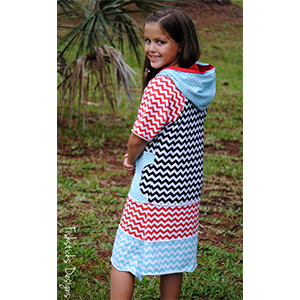 The raw edges take full advantage of that great curl that you get from jersey knit. 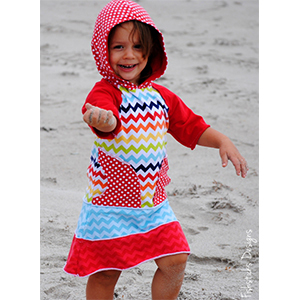 Recommended fabrics cotton/spandex jersey, cotton/lycra jersey or 100% cotton jersey.